From the nostalgia file: "Taxi Driver"
Martin Scorsese is a perfectionist, but he isn’t a control freak; his movies breathe, their performances are often dependent on improvisation, and no matter how much planning went into a shot or sequence, there’s often an unpredictability and seeming randomness to the individual moments, a sense that the story could go anywhere and that the characters could do anything. But that’s decidedly not the case with “Taxi Driver,” arguably the peak of Scorsese’s three-way collaboration with screenwriter Paul Schrader and star Robert DeNiro (who also teamed for "Raging Bull" and "The Last Temptation of Christ," which was originally a DeNiro star vehicle). From the first moment that you see New York cabbie Travis Bickle, you know he’s headed for a bad end, and that — to borrow the title of a film made 31 years later by a Scorsese obsessive — there will be blood. 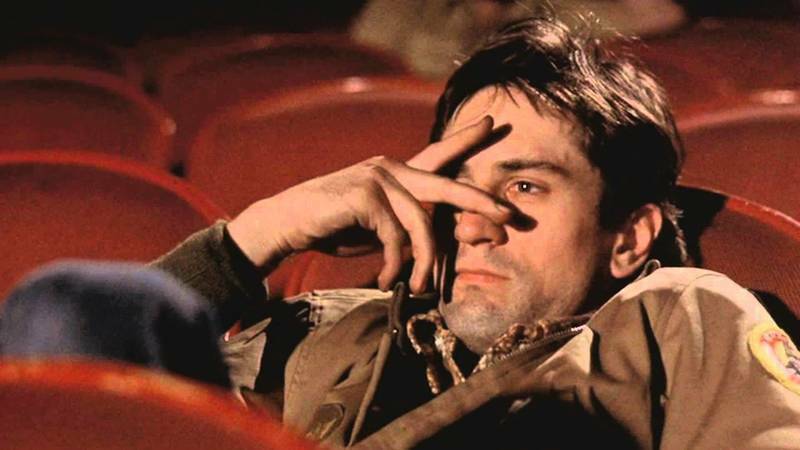 That sense of inevitability, tragic and horrific, gives “Taxi Driver” much of its power, and might account for the crystalline perfection of the storytelling. The movie knows where it’s going because there is no other possible outcome for Travis. The film is a slow Sunday drive into the maw of hell. It is largely a hell of Travis' own perceptions, though. A few critics at the time questioned the credibility of the film's portrait of New York as one big open sore; National Review critic John Simon even mocked Travis' voice-over assertion that every night when he brings the cab back to the cabstand, he has to clean ejaculate and blood off the back seat, seemingly missing the brazen subjectivity of the film's direction. Travis doesn't just happen to run into pimps, prostitutes, petty hoodlums and the like, he seeks them out. Not every part of the city looks like a Francis Bacon painting but with platform shoes and wide lapels, just the parts that Travis can't seem to stop visiting—more so at night, the insomniac cabbie's time, than when the sun is up. This is probably the Scorsese film I’ve seen the most times — with “Goodfellas” slowly gaining on it, just because it’s so exciting and funny and addictive — but no matter how many times I revisit it, I keep noticing new things.Over time, what initially seemed a despairing arty-intellectual vigilante picture acquires tragic weight. Travis’ worldview is conveyed in adolescent neo-noir terms, with Bernard Herrmann’s score conveying the cornball Raymond Chandler aspects of Travis’ mentality as well as undercurrents of depression, insecurity and motiveless rage. The hero has cast himself the role of the Last Honest Man, an urban cowboy, an avenging angel who’s going to purify a fallen world; but Scorsese and Schrader undercut his banal pomposity with merciless images, such as the God’s-eye-view shot of Travis curled up in his bed in a fetal position, or the long sequence of him watching couples dancing on “American Bandstand,” blankly scrutinizing their casual intimacy while dry-firing a laughably giant handgun. Travis just isn’t wired right. 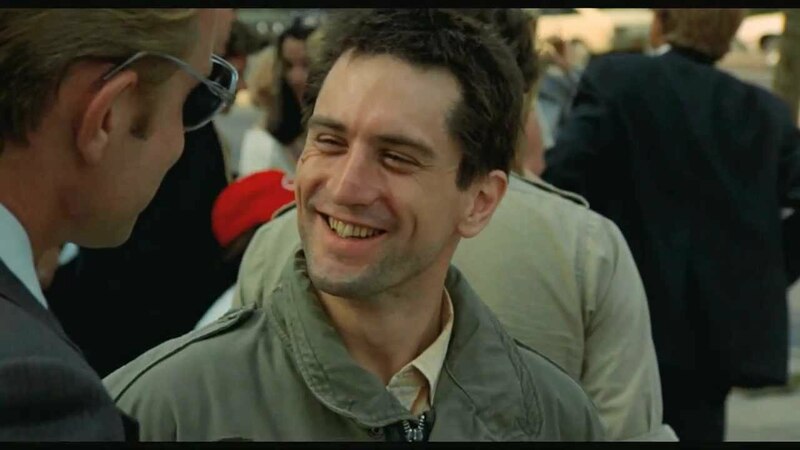 De Niro’s performance captures this in its repetitions, hesitations and faintly robotic tonal shifts. When Travis grins, the corners of his mouth seem to be drawn up by invisible wires. When he flirts with women, he’s unnervingly confident, yet not all there; it’s as if he’s reenacting his favorite scenes from some nonexistent romantic comedy. There is nothing spontaneous or natural about this man. He’s deeply damaged, maybe by the war, maybe by his childhood; we don’t know exactly what his problem is, and ultimately it doesn’t matter. What matters is the evidence of what’s on-screen — the way he talks and behaves. His whole life he’s been passing for happy, confident, functional, normal. In a way, though, you could say that about all of the characters. The child prostitute Iris (Jodie Foster), the campaign worker Betsy (Cybill Shepherd), Travis’ hilariously non-insightful “mentor” Wizard (Peter Boyle), even Sport the pimp (Harvey Keitel) all seem to be operating at some remove from the world, lost in their own interior spaces, seeing the world as they feel it and perhaps not as it actually is. Next Article: Glassland Previous Article: 30 Minutes on: "The Apartment"